1588 – a year that almost drastically changed the course of history in Britain. But for a change in the wind, the Spanish Armada would almost certainly have succeeded in invading these shores with untold consequences. In the same year, the first Italian madrigal anthology with English texts crossed the Alps; a peaceful invasion that encouraged a craze for all things Italian, especially the singing of madrigals. 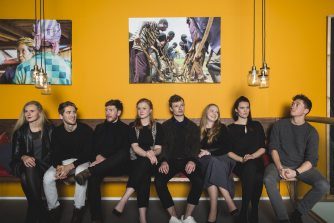 The beautiful young voices of Fieri Consort sing passionate madrigals from the anthology Musica Transalpina, alongside sacred Spanish gems from the time of Mary Tudor’s marriage to Philip II of Spain, and other works reflecting rich cultural exchanges between England and the Continent.